Intelligent BI: What is data governance and how do I implement it? You are the Star-Lord of your business data. You have misfits high-calibre analytic and IT teams willing to join you in defending the galaxy your business and its data. The data can be tampered with and used incorrectly by those who are not supposed to own the infinity stone access the data. So, your mission is to deliver trustworthy data you control, and the best way to do that is by developing a data governance program. Just like Peter Quill (Star-Lord) had to prevent Ronan from wielding the stone’s power to destroy the planet Xandar, you need to stop misinformed or inadequately trained users destroying your business by tampering with data at the source. But you are also here to stop data access being limited to a privileged few. Your role is to make your business data accessible to the many. Just remain aware that some people really shouldn’t get hold of data at its source. Think of your role in data governance as a Guardian of the Business Data Galaxy. Well, not the whole thieving misfits, fighting, and family feud bits. 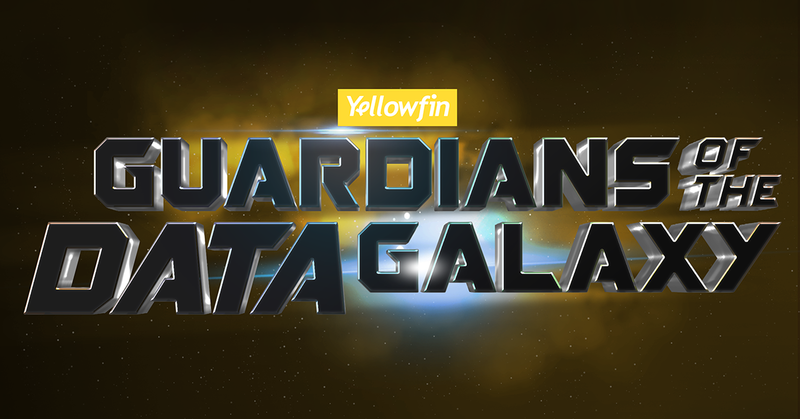 But being the defender of the data for the greater good of your galaxy – your business. You need to put the data into the right hands so it’s used wisely. Data is the information that fuels business decisions. With bad data, you get bad business decisions, which plummets the business into trouble. Data governance ensures that only qualified people can access data at the source. That way, you know that the data is reliable and, therefore, your business decisions are accurate. You need to facilitate the analysts, IT and business users as they access the data they need so they are empowered to make accurate business decisions based on solid data. If data is reliable, everyone will want to use it. But people also don’t want to be overwhelmed by data they don’t need or want. You need to make sure that the data is usable and relevant to each user group. Data governance is all about ensuring the data is available to all those who need it and shielded from those who would intentionally or accidentally tamper with it. First, remember that your job in data governance is to protect the business, not just the data. To avert data disaster, you need to assemble the guardians. Assemble them before you face disaster. Be proactive. Trying this reactively is immensely difficult. First, recruit those dedicated to guarding the data assets. They’ll be responsible for protecting and maintaining the assets. This will probably be a mix of people from IT and analysts. You need to decide who will take on each of the aspects of data governance – security, accessibility, updates, usability, and accuracy, including completeness and consistency. Assign the roles to your team. Next, create a data governance policy that backs up your aim of protecting the data. This is where you spell out who is accountable for what aspects of the data governance and make it official. Oh, and if you handle any data that could potentially be used in the identification of a European Union (EU) citizen, make sure you comply with the EU’s General Data Protection Regulation (GDPR). Very important. Then, you need to put in place the processes and procedures for security, accuracy and accessibility. Decide how are you going to protect the data. Put processes in place around how you will maintain and review storage, back-ups, and security from attacks, outages and human error. Do the same for how to maintain consistency, completeness and accuracy in the data, and make sure the data is always up to date. Consider metadata, data integration, preparation, cleansing and quality too. Then, put in place procedures for how you determine who gets what level of access to the data. This involves defining user roles and the criteria you will use to assess who should get what level of access. You will need admins who can access everything, other roles that gain lesser access, and you may want a read-only role for those who don’t need to access data at its source. Finally, you’ll need a small, mixed crew of analysts, IT and business users who can represent the needs, wants, and concerns of all the people using and accessing the data. They’ll be your feedback and consulting team. They will help you tailor the permissions and make sure the data is made accessible to all who need it, when they need it. With that, you’ve assembled the data guardians and laid down the rules. Together, you can govern the data and protect your business from basing decisions on erroneous data.